NetEnt (www.netent.com) is a multinational company which distributes online gaming software to casinos. Some of the most famous casinos all over the world are clients of NetEnt. The company was initially known as Net Entertainment, but the name was later shortened to its current form. NetEnt is headquartered in Sweden and a major part of their operations is based in Malta. It has been headed by CEO Per Eriksson since 2012. As of 2017, the company has 600 employees. A few years ago, the casino gaming population residing in Canada were given a scare. There were rumors circulating about NetEnt ceasing its operations in Canada. Three of the most famous online casinos, namely Betspin, Rizk, and Guts Casino, reported that NetEnt had asked them to IP-block their Canadian players. However, in May 2017, NetEnt was granted a license by the government of British Columbia, Canada. This qualified NetEnt as an official supplier of online casino games in the region. Operating casinos in Canadian provinces is a tricky business since the rules differ in each province. This, however, has not stopped the company’s games from rising in popularity. Mega Fortune is perhaps the most popular game developed by NetEnt. The game offers many ways to win money. The Wheel of Fortune is a more popular choice amongst them, and it operates on three tiers. Casino game payouts of the largest sizes have been credited to this game. In 2014, a player from Sweden won a jackpot of £2.5 million through Mega Fortune. Another popular game is Starburst. It has been on the list of top ten games on many reviewing websites since its launch in 2011. The gameplay is interesting and catchy with high payouts. This makes up for the slightly outdated outlook of the game. Many casinos offer free spins through this game in order to attract players who are new to casino gaming. NetEnt’s take on the famous TV series, South Park, is also ranked high on the list of favorite casino games. This slot machine game is an audiovisual treat for gamers. For games that involve more action and thrill, gamers look to other games such as Wild Wild West: The Great Train Heist, Gonzo’s Quest, and Boom Brothers. One of the most attractive qualities of NetEnt games’ jackpots is that they offer two kinds of jackpots. The first type is local. This means that the winning prize only consists of one single casino’s money. The second type, which is pooled, combines the total amount coming from multiple players. This expands the size of the prize by multiple times. Therefore, most players prefer to go to casinos which offer games with NetEnt jackpots. Another attraction of NetEnt games is that they have a payout percentage of almost 97%. This is 55% greater than the average payout rate of 60%. That is why players now highly prefer NetEnt games over arcades and bars with regular slot machines. Another attraction, particularly in Canadian casinos, is that they offer bonus money to players of NetEnt games so that they can play games without any risk involved. Others also offer free spins. For example, a famous Canadian gambling site, CasinoRoom, offers 180 free spins to its players as a reward when they make their first deposit to the site. The payouts in Canada are also huge, just like they are in other regions of the world. However, there are several online banking issues that NetEnt customers face in Canada. The lack of banking options is a major reason behind hindering the popularity of NetEnt games in the region. Neteller, Paypal, and other e-wallets are effective solutions to this problem. They have made it possible for the company to make some progress in the Canadian region. Games developed by NetEnt, or Net Entertainment Productions, are best known for their high-quality graphics. Reviewers all over the internet are filled with praise from both clients and players. Games developed by this company offer players a chance at fair and trustworthy gaming options at Netent casinos. They are licensed by MGA, Malta. This is why most casinos and their customers prefer NetEnt games. The license that NetEnt has recently acquired for operation in Canada will play a major role in the company’s expansion. 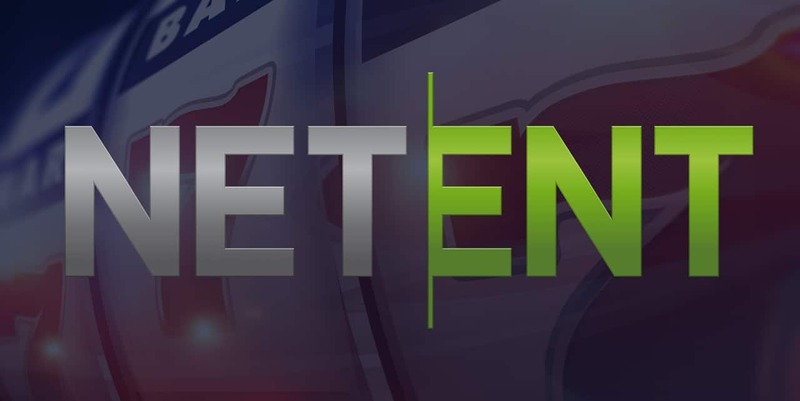 NetEnt’s next goal is to unify land-based and online casino platforms. The constant efforts and hard work of the developers at NetEnt have made the company into an organization that is globally-renown in the world of casino-based games.